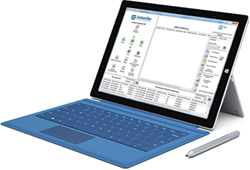 Autoscribe Informatics’ products are suitable for use in a wide variety of industries. 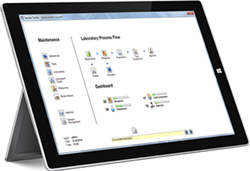 Matrix Gemini LIMS - Matrix Gemini LIMS is a configurable solution that allows easy graphical modifications to match user requirements exactly. No software coding skills are required. 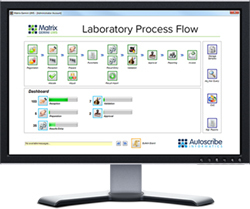 Matrix Express LIMS - designed to be used ‘off-the-shelf’ Matrix Express is the perfect LIMS for smaller laboratories or as an introductory LIMS in larger organizations. Matrix Tacker - the perfect tool to track samples, reagents, consumables, waste, or assets within your laboratory. The unique flexibility of Matrix software means it can be quickly configured to meet your exact needs. 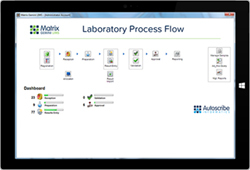 Our powerful Matrix graphical configuration tools enable allow you to setup and modify the workflows, screens and menus to meet detailed requirements. Matrix Gemini Stability - a stability management system for complete control of stability studies for a variety of industries. This includes creation of the stability protocol with its various notes, and the ability to create projected shelf life trend analysis. Matrix Gemini Web Portal - allows contract and in-house laboratories to provide 24/7 access, so clients and staff can check on the status of their test samples, view test results and download invoices at any time of day, from anywhere. Matrix Gemini Field Analytics System - Beyond the confines of the Laboratory connection to a LIMS via the Internet can become challenging. The Matrix Gemini Field Analytics System extends the lab to the field allowing you to work off-line, and upload data to the LIMS at your convenience.